The Sedona Arts Center showcases the largest selection of artwork with a new exhibit every month featuring the best representation of Sedona artists. If you are seeking a rare piece of fine art, a gift of exquisite jewelry, stunning photography, or are just looking for a lovely keepsake from your visit to Sedona, the Arts Center has it all and more. 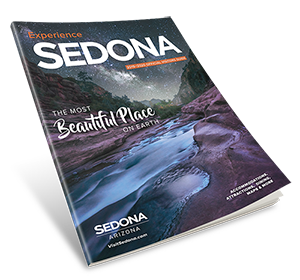 Sedona Arts Center is a 501(c)3 organization that offers all purchases without sales tax. Become a member and receive an additional 10% discount.